Don Hudson of ABC4 featured the Internet Crimes Against Children Task Force, part of the Justice Division of the Utah Attorney General’s Office, on last Friday’s Behind the Badge. The Internet Crimes Against Children Task Force (ICAC) is a multi-jurisdictional task force that investigates and prosecutes individuals who use the Internet to exploit children. 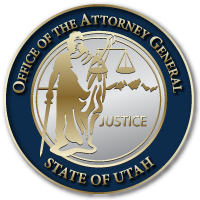 The Utah Attorney General (UAG) ICAC Task Force was created in 2000 and is now one of 61 ICAC task forces in the country. They focus on crimes related to sexual exploitation of a minor – whether possessing, distributing, or manufacturing child pornagraphy, enticing minors over the internet, or exchanging material deemed harmful to minors. The UAG ICAC Task Force has 32 local, state, and federal police agencies involved in the task force.